Set in Polignano A Mare, 328 feet from the Adriatic Sea, Giovì Relais features a wellness center and elegant, air-conditioned rooms with a flat-screen satellite TV and free WiFi. All guest rooms feature a private bathroom with shower, and some also have a balcony. Breakfast includes seasonal local fruit and homemade pastries and cakes. It is served on the sea-view terrace. 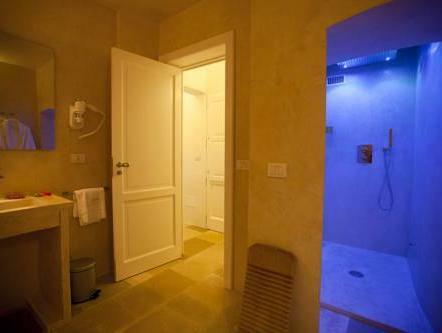 The spa is complete with a salt room, Turkish bath, a shower and hot tub both with chromotherapy. A relaxation area is also available. All wellness facilities are all available upon request and at extra cost. The Lama Monachile beach is a 5-minute walk from the hotel. Shuttle services to and from private beaches nearby or the airport are available on request, at extra charge. 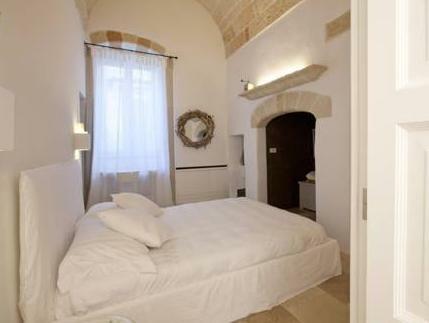 The Giovì Relais is 0.9 mi from the Polignano a Mare exit of the SS16 national road, and a 40-minute drive from Bari. When traveling by car, please contact the property before arrival for more information. Please inform Giovì Relais of your expected arrival time in advance. You can use the Special Requests box when booking, or contact the property directly using the contact details in your confirmation. This property is located in a pedestrian-only zone. Guests are required to show a photo ID and credit card upon check-in. Please note that all Special Requests are subject to availability and additional charges may apply.